saying "this is where I stand." and the bitter unwanted passion of sure defeat. Another syncronicity that occured in our Kripalu Workshop was that one of the participants placed an audio cd by contemporary poet DAVID WHYTE on the altar we made. I had been reading "The Winter of Listening" on the plane that brought me to Massachusetts. I feel moved to share here a few of his poems, because they've been with me over coffee this morning. Yes, especially now, as I sit looking out across the Berkshires, the trees bare still but the sun fragile and brilliant, the vitality of early spring a deep, deep hum within the earth, a rythem pulsing through my feet, an attunement I long to continue for more than this one last day. David Whyte's poetry has always had a way of bringing me home. Just completed the three day workshop for women I taught at the Kripalu Institute here in the beautiful Berkshires - its second year, and the class this year was twice the size of the previous. Challenging to organize a "guerrilla art studio" overnight in a hall that was built to practice yoga in, but somehow I always manage, if I don't mind patting myself on the back. Like the previous year, I leave feeling enormous gratitude to the Institute, to those who participated, and the Goddess, whose presence has been felt throughout the experience. Frankly, whenever I do this, I always leave awed by the collective vision that arises. Speaking of little miracles - all the music I brought was by the Bay Area singer and composer JENNIFER BEREZON, whose “She Carries Me” I have used to open several ritual performance events. 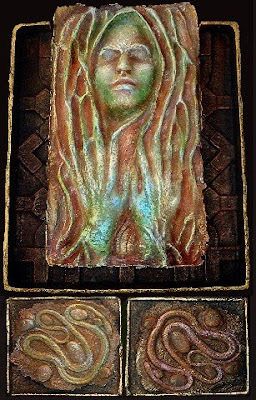 Last year I purchased “Returning” for the group, a collective piece that she created in the ancient Temple at Malta. When I arrived on Saturday, I learned that she was here, had been teaching a workshop, and was to give a concert! It was beautiful, and so good to hear her in person after all these years. And the following day the class met in the room she and her group had just vacated! 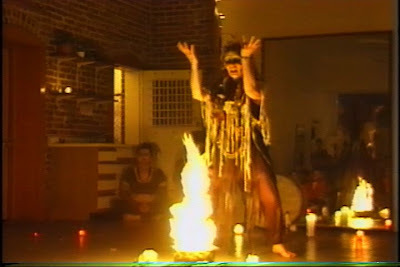 I was able to buy a dvd of “Praises for the World”, the concert/ritual she organized in Oakland that includes some 50 musicians, dancers, poets, spiritual leaders, and activists for the earth (including Joanna Macy and Alice Walker) It was an extra gift to be able to share it with my class. I love to teach! I wait for some of the writings, and photos of masks, from the participants. One of the participants in the workshop is going to Spain this summer, to spend a month walking the Camino. 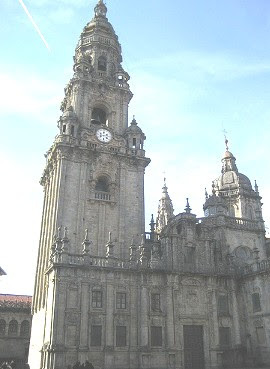 The Camino is the ancient pilgrimage route to Santiago de Compostela, a 10th century Romanesque and Gothic cathedral that houses a black madonna, as well as (and most significant to most pilgrims I suppose) the supposed bones of St. James, a Christian martyr of the middle ages. "There was once a vast pilgrimage that took place in Europe. Pilgrims made their way towards the town of Compostella in Spain, where an ancient effigy of the BLACK MADONNA is housed. The word Compostella comes from the same root word as compost. COMPOST is the living, black material that is made from rotting fruits, grains and other organic matter. From this compost -- life and light will emerge. When the pilgrims came to the Cathedral at Compostella they were being 'composted' in a sense. After emergence from the dark confines of the cathedral and the spirit -- they were ready to flower, they were ready to return home with their spirits lightened." 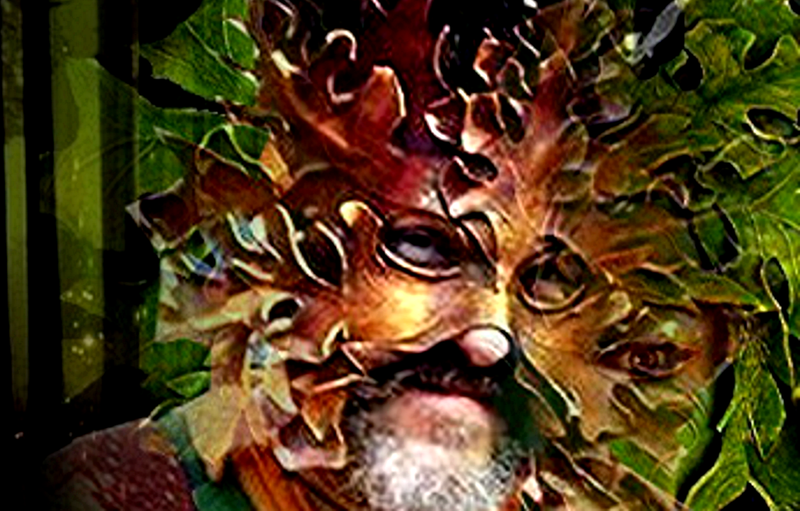 "I think the pace of our lives has taken away the time needed, the cyclical time reflected in all organic systems...........to "compost". 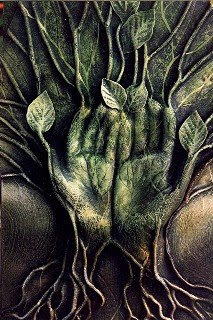 To fall apart, re-turn into the dark, re-form, be re-formed by the organic, collective forces we are woven into in the cycles of the planet, and our souls." Exploring the metaphor, to me, the beautiful idea of the "Camino", the "road to Compostela" embodies the pilgrimage to the Black Madonna, spiritually, perhaps a journey to ward the formless dark of the deep rich earth and the grace of re-birth as I enter my 6th decade.